Mug Rugs are sooooo cute! Well, here are my swap Mug Rugs for the Quilting Gallery.com swap. They are so much fun and so quick to do. 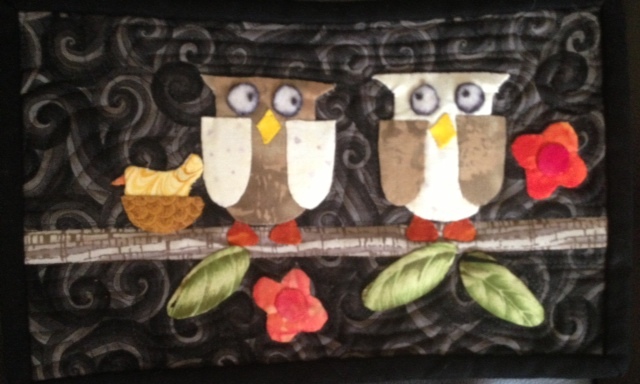 I did the owl with hand applique, the Scharon Schamber way with foundation paper; and, the bird with fusible and a small machine blanket stitch. I love them both. 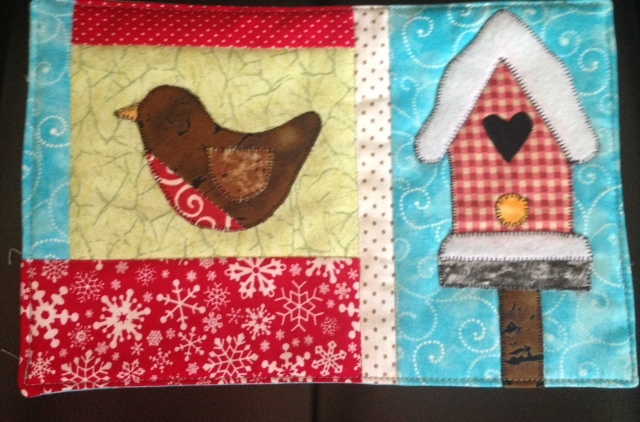 I made the blanket stitch super small to reflect the overall size of the design and love the way it came out. These patterns, along with several other really cute designs are available on the Craftsy site. I will spend some time this weekend trying to learn how to upload buttons to make it easier for you to find things. Wouldn’t this be a really fun guild exchange? Meanwhile, I found a great thought today and it really fits me…. “if I were more organized I’d be able to keep up with my organizational list!” Trying to catch up this weekend after a great week of quilting with friends, two workshops, and a guild meeting! (not to mentions allergy issues-sigh-got to love Houston!). I must have at least 10 irons sitting around my studio or parked on a shelf in the closet. 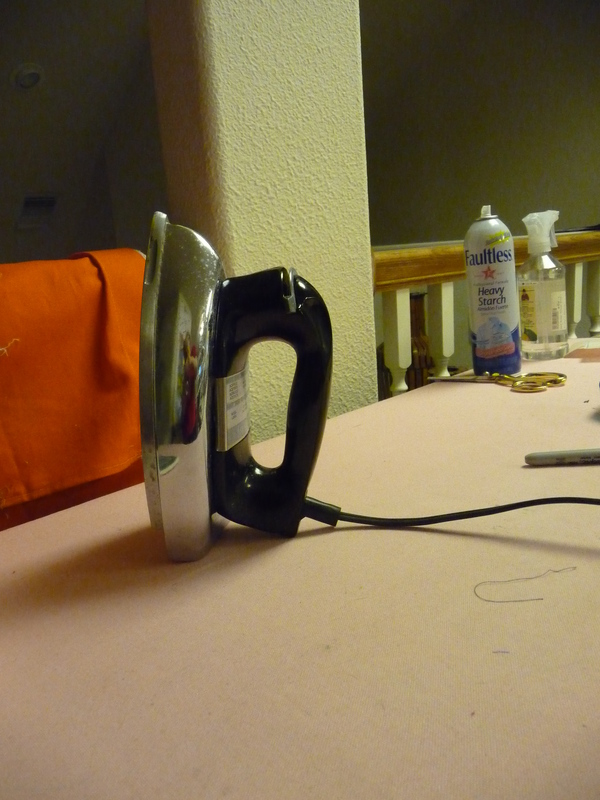 I HAVE to have a great iron. All along I have been a fan of steam -lots of it!!!! Yes, I know using steam is discouraged but it helps satisfy my need for speed. But, eventually they cry and spit up all over the place (yes the iron, not the baby!) Well, this new iron is the BEST!!!! Cheap, under $30. No auto shut down, just the right size, gets hot enough for freezer paper. 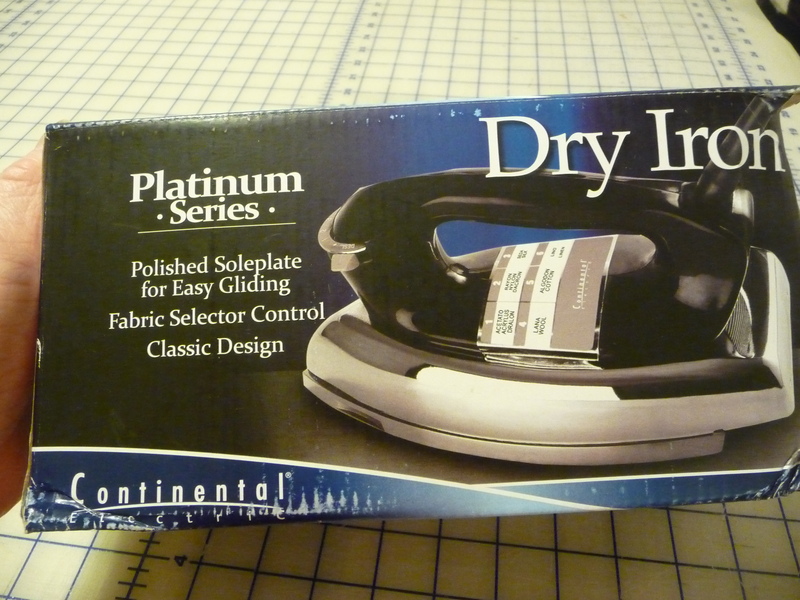 No holes in the plate to leave marks (yup, its a dry iron so never any dripping issues). My spray bottle of water and my can of starch are always close by. I’m in love!!!! I bought mine from Amazon. Well, here is a project that I decided would be a fun way to experiment with these pencils. I have sewn out a series of redwork designs on my embroidery machine. I backed the fabric with a thin layer of cotton batting, hooped both pieces and sewed out the design. RJ is my up and coming cowboy so this will eventually to him. My plans are to color each design with my Derwent pencils, then work on an unusual setting for the blocks. I have cut the fabric large enough to give me some leeway on block size for the final arrangement. When I quilt the finished top I will quilt it using another full layer of 80/20 Hobbs batting and will do some fairly tight background fill around the designs. With the two layers of batting and the tight background fill, the designs will look like they are trapunto. Neat huh? Here are some pics of a few finished and a few left to color. Learning more with each block.